Students and staff reflect on effects of closing the I-wing bathrooms due to student behavior. I-wing bathrooms have been reported closed over five times. Imagine you’re in Audio class working on music and making some beats when you realize you have to go to the bathroom. So, you raise your hand, get called on, get up, and go. It’s a nice short walk to the bathrooms in the beautiful new Digital Arts building, so you waste little time and approach the doors. You reach for the handle and pull, but it’s locked. You try one more time to be sure and ‘yep, it’s locked.’ So, you think for a second and wonder why they’re locked. You have a guess. Then you decide to walk to the second-closest bathrooms in the F-wing. 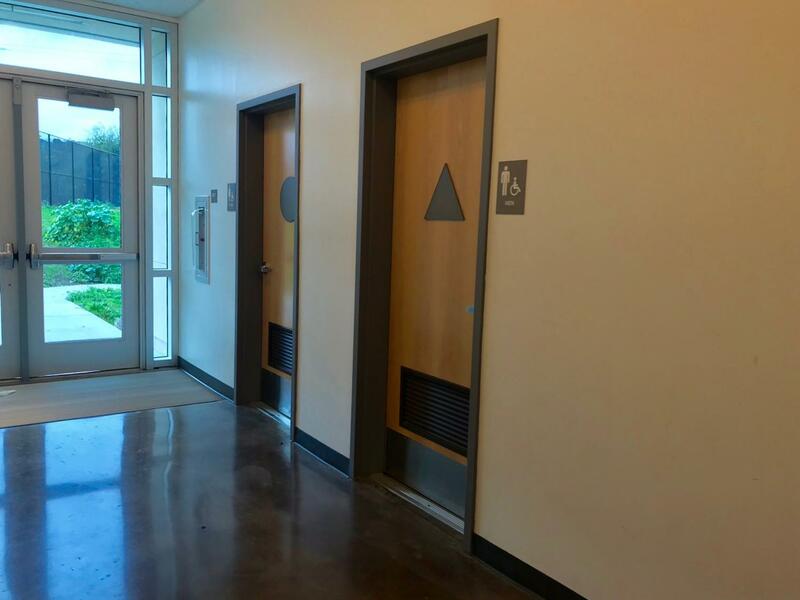 In numerous cases throughout the school year, the I-wing bathrooms have been locked, prohibiting Digital Arts students from using a nearby restroom. 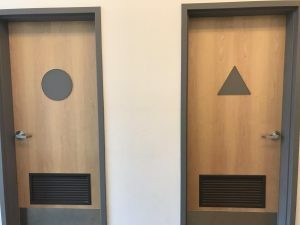 “We lock bathrooms when we are concerned about behavior taking place in there,” Administrative Vice Principal, Charles Velschow, said. When the I-wing bathrooms are locked, students have to walk to other bathrooms on campus. Cailin Wright, a junior and Audio student, has experienced the effects of these bathrooms being locked. Administration are aware of possible problems with the longer walk to the bathroom. Other instances of students’ behavior in the campus bathrooms, though, have had much larger effects than a longer walk. 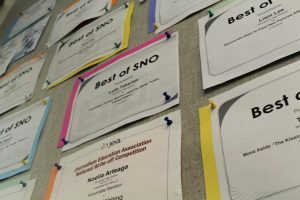 According to Velschow, there have been three false fire alarms this year, two of which were set off by smoke detectors in or near the I-wing bathrooms and one of which was a school-wide drill. Some students from the Digital Arts building know the possibility of illegal substances being used in the vicinity. One student can even recount multiple events that lead directly to vaping, causing a fire alarm to go off. The student witness confirms that the events they allege took place on the day the school experienced a fire alarm and had to evacuate to Bradley Field. “A group of six or seven guys just walked out, and the whole hallway just started to cloud up, and we went to open the [outside] doors, and the fire alarm went off from the one [smoke detector] in the hallway,” the student recalled. Some students have also reported fans being placed at the doors of both I-wing bathrooms. Velschow explains the necessity for this action. “Once you have any smoke or anything like that in any room, the fire alarms are now so sensitive that it if you don’t clear out the smoke it could be set off again,” Velschow described. 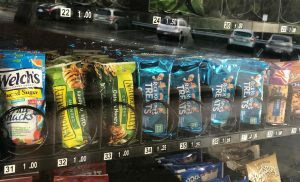 Both administration and the vast majority of students are aware of the issue of vaping and other illegal drugs at Woodside, but this situation has existed for countless years. Velschow explained how his high school had a smoking area called the “pit,” where students and teachers were free to take smoke breaks, which at the time involved cigarettes. Teens have been exposed to new substances since the rise of nicotine products such as JUUL and Suorin. An anonymous student expands on how teens in schools increase access to devices and defy rules. “We always try to supervise bathrooms going in and out and checking them, but if you have a series of incidents that are inappropriate, we are going to close bathrooms until we feel like we can trust students and feel like they are going to behave themselves,” Velschow stated. this article is very false and does not give an accurate representation of the I wing bathroom or any bathrooms for that matter. The false alarms are due to boys in the boys bathroom and have nothing to do with vaping but has everything to do with marijuana useage that is not device handled. it does not matter what bathroom is locked students will use their devices wherever they feel whether it be in a classroom or outside on campus. locking the bathroom does not fight an issue whatsoever but instead creates people coming up with different ways to hit their devices undetected. so basically locking any bathroom is pointless.